Naturopathy is a natural healing technique using the healing powers of nature. The principle of Naturopathy is that the accumulation of toxins is the root cause of all diseases. Prevention and elimination of toxins is the route to health. Treatments are based on the 5 great elements of nature that have immense healing properties. There is no role of internal medications in the nature cure system. This multi disciplinary approach uses the healing power of natural resources like foods, herbs, earth, water, air, sun and magnets to allow the body to heal itself. It helps in degenerative and chronic conditions like asthma and arthritis, gastro-intestinal problems and hypertension. The intent of acupuncture therapy is to promote health and alleviate pain and suffering. The method by which this is accomplished, though it may seem strange and mysterious to many, has been time tested over thousands of years and continues to be validated today. The perspective from which an acupuncturist views health and sickness hinges on concepts of "vital energy," "energetic balance" and "energetic imbalance." Just as the Western medical doctor monitors the blood flowing through blood vessels and the messages traveling via the nervous system, the acupuncturist assesses the flow and distribution of this "vital energy" within its pathways, known as "meridians and channels". 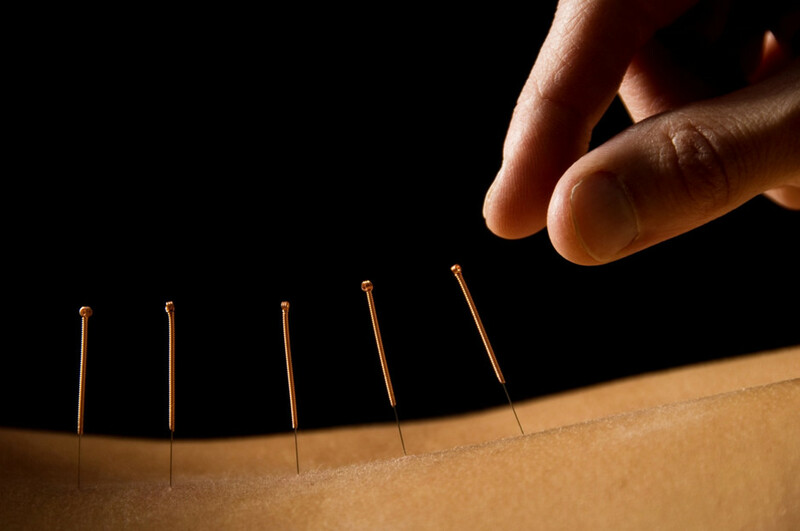 The acupuncturist is able to influence health and sickness by stimulating certain areas along these "meridians". Traditionally these areas or "acupoints" were stimulated by fine, slender needles. Today, many additional forms of stimulation are incorporated, including herbs, electricity, magnets and lasers. Still, the aim remains the same - adjust the "vital energy" so the proper amount reaches the proper place at the proper time. This helps your body heal itself. Acupuncture is just one form of therapy used within the coherent system of healing known as Oriental Medicine. Oriental Medicine includes herbology, physical therapy, dietetics and special exercises (such as Tai Chi and Qi Gong), and is a complete medical system unto itself and is not another branch of modern Western medicine. Acupuncture evolved from principles and philosophies unique to Oriental thinking and Oriental Medicine, and is most effectively applied when done in accordance with those principles. Most experts would say that acupuncture is at least 2000 years old. The exact age is less important than the fact that Oriental Medicine is the most widely utilized healing system on this planet. Its roots are in China, but the fruits of its potential to help the sick and injured are apparent in many places, including all of Asia, Europe and America. Today, the art and science of Acupuncture / Oriental Medicine is still not understood by many, yet it continues to gain popularity and acceptance because of one fact - IT WORKS. What are the limits of Oriental Medicine and Acupuncture? Stress Related Disorders- Anxiety, Depression, Aggressive Behaviour, Mood Swings, Lack of Energy & Concentration, Sleep Disturbances, Anorexia etc. Skeletal System- Osteoartritis, Low Back Ache due to various causes, Cervical Spondylosis, Sciatic pain, Gout, Frozen Shoulder etc. Female Health Problems- Menstrual Disorders, Pre Menstrual Tension, Menopausal problems, etc. Gastrointestinal Tract- Acidity, Gas Trouble, Piles & Haemorrhoids etc. Nervous System- Migraine, Frequent Headaches, Parkinsonism etc.. Positive Health- For those looking towards perfect health. An Oriental healing technique used to relax the nerves and release the trapped energy. There are energy zones that run throughout the body and reflex areas in the feet that correspond to all the major organs, glands and parts of the body. Based on the principle that reflex points in the feet and palms correlate to individual organs and parts of the body, manipulations on these reflexes help stimulate the organs. It helps those suffering from insomnia, menstrual problems and pains. Massage can Alleviate low-back pain, arthritis, bursitis, fatigue and improve range of motion.Assist with shorter, easier labor for expectant mothers and shorten maternity hospital stays.Ease medication dependence.Enhance immunity by stimulating lymph flow—the body's natural defense system.Exercise and stretch weak, tight, or atrophied muscles.Help athletes of any level prepare for, and recover from, strenuous workouts.Improve the condition of the body's largest organ—the skin.Increase joint flexibility.Lessen depression and anxiety.Promote tissue regeneration, reducing scar tissue and stretch marks.Pump oxygen and nutrients into tissues and vital organs, improvingcirculation.Reduce postsurgery adhesions and swelling.Reduce spasms and cramping.Relax and soften injured, tired, and overused muscles.Release endorphins—amino acids that work as the body's natural painkiller.Relieve migraine pain. Experts estimate that upwards of ninety percent of disease is stress related. And perhaps nothing ages us faster, internally and externally, than high stress. While eliminating anxiety and pressure altogether in this fast-paced world may be idealistic, massage can, without a doubt, help manage stress. This means Decreased anxiety.Enhanced sleep quality.Greater energy.Improved concentration.Increased circulation.Reduced fatigue. Of the five elements of nature, mud represents Earth and has tremendous impact on the maintenance of health and prevention of diseases. Minerals and trace elements present in the mud are known for its renowned effects and healing properties. Mud also has the remarkable property of holding moisture for a long time, which has a cooling effect on the part of the body applied. Frequent application of mud helps in improving the complexion of the skin by getting rid of spots and patches, which appear in various skin disorders. Mud baths are also generally recommended for all skin diseases, including psoriasis, leucoderma and urticaria and other allergic conditions of the skin. Using special Natural Muds high in natural minerals and salts the pack is applied on the entire body except the head. This uses the therapeutic properties of water. This medium was made use in therapeutics hundreds of years ago. Water has great healing properties and exhibits different properties at different temperatures. The temperature of the water for any treatment depends on the effect desired. Kellogg is considered to be the Father of Hydrotherapy. Water is used internally and externally in all its forms- steam, liquid or ice, to cleanse and restore health. It is used in the form of Baths, Jets/Douches, Packs, Compresses and Immersions to name a few. Helps in proper secretion of body fluids and maintenance of Ph. This treatment allows an in-depth detoxification of the areas which are swollen, blocked or sensitive and helps to restore the vitality of the skin and the body. There are several packs like abdomen, knee, trunk, shoulder, ankle and neck packs. This is the application of water in the form of a pack wrung out in water of different temperatures. It is one of the hydrotherapeutic techniques where the body locally or wholly is immersed in water of different temperatures. The colon is the seat of all toxins in the body. This detoxifying treatment involves a soothing gentle flow of filtered, temperature-controlled water throughout the colon to flush out logged waste and toxins.